Tulsa, Oklahoma based PF Unlimited specializes in commercial printing, business forms printing, print procurement, and managed business printing services. Spanning a half-century, our experience in and knowledge of the commercial printing and business forms printing industry makes a critical bottom line difference for our clients every day. From production of a specific single-run print project to auditing and managing our client’s aggregate print inventory, PF Unlimited delivers customized business printing solutions as part of a comprehensive print procurement and printing management process. 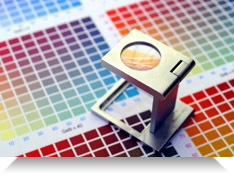 Our proprietary print management applications analyze our preferred partner network, streamline job requirements, ensure graphic design continuity, track production timelines, manage project logistics, coordinate warehousing and fulfillment objectives, provide real-time reporting, and guarantee product quality. Combining our technological assets and deep supplier network with the capabilities of our expert staff, PF Unlimited clients are assured print outsourcing solutions with reduced costs, increased product quality, and exceptional service. Regardless of the substrate used or printing method employed, PF Unlimited reliably engineers efficient purpose-to-print solutions. Our managers skillfully match project requirements with the capabilities of our contributor network, capitalizing on manufacturing specialties, surplus production capacities, and project economies to ensure optimum value and service for our clients. With tailored post-press services including bindery, warehousing, fulfillment, logistics, reporting, inventory management, distribution, and online branded company eStore offerings, PF is truly an “unlimited” business printing performance provider. has built an exceptional performance history by expertly designing and printing utilitarian business forms and consistently providing first-class client service.